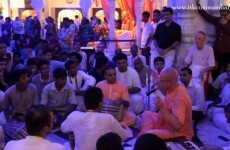 Kirtan by BB Govinda Swami at Kirtan Mela on 17 Feb 2015 at Mayapur Dham. 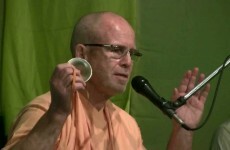 Second day of Mayapur Kirtan Mela 2015. 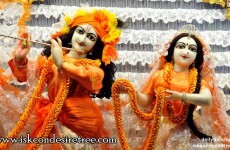 Non-stop kirtan for five days. The Kirtan Mela’s prime purpose is to give devotees an opportunity to absorb their minds and hearts in the continuous chanting of the Holy Names in a momentous vaishnava assembly at spiritual atmosphere of Sridham Mayapur. 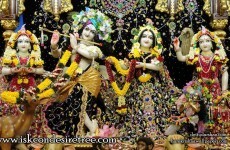 Organised by International Society for Krishna Consciousness (ISKCON), Founder Acharya His Divine Grace A. C. Bhaktivedanta Swami Srila Prabhupada.